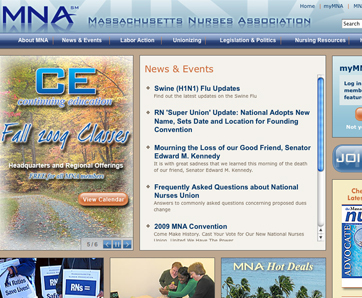 The Massachusetts Nurses Association needed a website redesign that included a highly customized content management system, as well as integration with an external membership database. 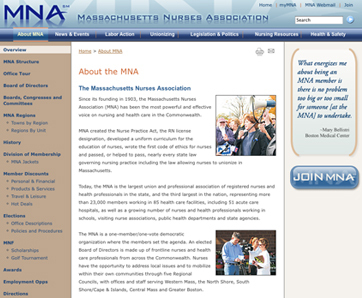 The new site has greatly improved MNA’s capacity to publish new content and effectively communicate with membership, while also providing a number of new value-added advantages for MNA members. View additional details about this project.